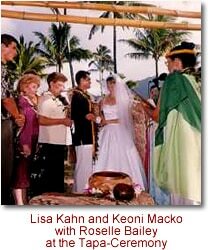 For those of you thinking of getting married in Hawaii, our Kumu, Roselle Bailey, performs culturally-grounded Hawaiian weddings in whatever location you choose in the islands. 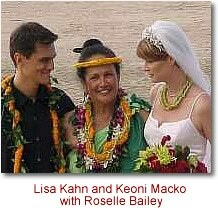 Roselle is licensed by the state of Hawaii, and will create a marriage ceremony in the traditional Hawaiian way. 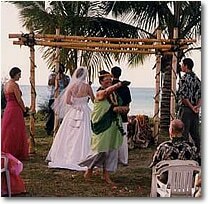 Prior to the wedding, Roselle will confer with you to integrate any special requests into the ceremony. 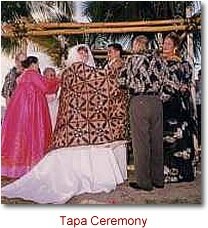 Please bring a list of your genealogy to be included in a marriage chant.